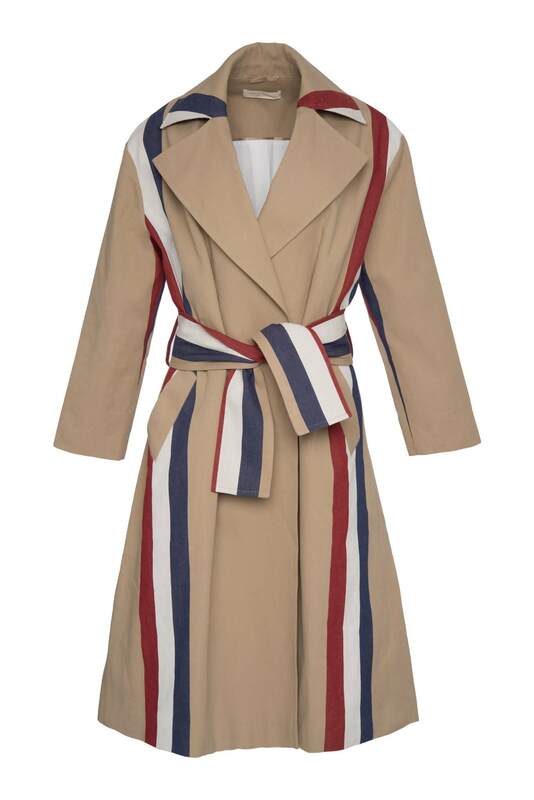 This classic trench coat with a modern twist is to die for. Each printed stripe is placed individually, making every garment special and one of a kind. The trench coat works on every body type and can be worn with any kind of bottoms.